My concern is about archiving things and information that would be important for historical purposes for future generations. For instance I have been "studying" that is I just really love the musical phenomenon in our United States from the turn of the last century to the present. I collect old records, and have been transferring them and sharing them on the internet. Is the government or some group storing antiques from our past such as phonograph records and machines to play them (and not just recordings but things of every industry) - for safekeeping for future generations? Also is the government or someone "saving copies" of "the internet" For instance I'm putting out all this great sound files out there, it would be neat if my files would survive if I didn't! That my time spent sharing our American music isn't in vain! Some of the stuff is rare and I'd hate to think of us loosing big chunks of our world's past. What history teaches is that history is invariably lost. Certainly, most of mankind's history was lost simply because the Earth experiences pole shifts, and civilization is cast asunder while frantic and starving survivors went looking for food. What remained was primarily that which did not rot or crumble, kept dry and out of the wearing effects of the wind, rain, and sunlight. What remains from the days of cave men is drawing on cave walls. Even the Great Pyramids are wearing down, and eventually would return to dust and rubble, unrecognizable. So much for any record of the reign of the Annunaki! Whatever the plans of man to save their civilization, what it likely to disappear quickly is electronic data. Books rot and mold but electronic data also deteriorates fairly quickly. The Internet will not survive, why would it? Who would cherish every website? If printed material rots or molds or gets used as fuel to heat shivering bodies or keep roving predators at bay, what will survive? There will be some remnants, just as today there are clay tablets and papyrus records, but these will be the exception, and very rare. The Internet, such as it might survive carried on short wave, will be used for communication between desperate survivors. We have been asked if we, the Zetas, or other of the visitors are saving human history. Our answer was that what we would deem valuable history is not what mankind might deem of value. But mankind's experiences will be carried in the memory of the soul, which never forgets a single detail of any of its past lives. I am right on the Continental Divide in Butte, MT. Will there be subduction in this area? Should I be wary of the Berkeley acid Pit spilling out? Please advise for this specific area. I have a large family and am grateful for your advice. [and from another] Berkeley Pit http://en.wikipedia.org/wiki/Berkeley_Pit The Berkeley Pit is a former open pit copper mine located in Butte, Montana, United States. It is one mile long by half a mile wide with an approximate depth of 1,780 feet (540 m). It is filled to a depth of about 900 feet (270 m) with water that is heavily acidic (2.5 pH level), about the acidity of cola or lemon juice. As a result, the pit is laden with heavy metals and dangerous chemicals that leach from the rock, including arsenic, cadmium, zinc, and sulfuric acid. Montana is stable ground but the Continental Divide will push to the east for some 50-60 miles during the pole shift. For northern Montana, this is flat land which will rumple so that the surface is pushed, as though by a bull-dozer in front of the moving mountain mass to the west, which will be relatively stable though go for a bumpy ride. 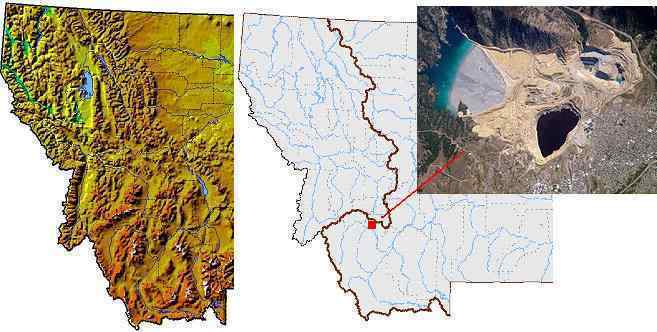 Southern Montana will find land to the east of the Continental Divide rumpling, compressing, so that mountain ranges grow higher and valleys narrow. Certainly, the Berkeley Pit, being in this vicinity, will be subjected to pressure. This is likely to squirt into the air, but not do more than affect the immediate area. However, any surface water source draining from this area, or underground water from this area, should be considered contaminated for decades. Go above this elevation for drinking water, and post signs. Sometimes I wonder if music can be a 'carrier wave' and deliver more than harmony and notes and words, but 'intent' from the soul of a person or group. More than just music can do this, it seems to me. Can a mature soul attach a feeling charged with information or intent to the words being uttered by the human? In other words, can that mature soul or group of souls say one thing and deliver so much more? Do you guys do that with Zetatalk? How about the Beatles? Did they do that with their music which helped to bring humans out of a more primitive mind set, thereby allowing so much more to unfold in our world today? Many say they can "feel" the music of the Beatles differently than any other group. Is this why? Is there anyone else (human) that can do this actively right now? What does music convey? Man's music inspires parrots to bop on their perches and cows to produce more milk, so reaches more than just mankind. Music conveys a message in the words, certainly, which can bemoan a lost love, urges rebellion, or proclaim joy. The beat carries meaning, as a single strong beat relays a message of allowing a takeover, a dictatorship of emotion, where multiple interwoven beats suggests listening to many voices and emotions. The tempo can carry meaning, sedate for meditation and lively to encourage listeners to exercise. If the music is discordant, it paints one picture, but if in close harmony, another. These are the ways musicians get their message across to others! I scanned the site, and the safe locations, but found little information about Brazil, compared to other places. Considering the 7 of 10 descriptions and the South America roll, what effects are possible in the east coast - specially Espirito Santo and Rio de Janeiro states? As the Atlantic Rift continues to rip open, the eastern coast moves with the continent - but what exactly does it mean? What kind of thing can we expect in this "move"? And, during PS, with the inundation coming from south due to new land mass emerging between the tip of South America and Africa: is it a sudden process, or something that may take months or years to happen? I am just a bit worried with the possible effects that it may take in our country. Clearly the Brazilian states of Espirito Santo and Rio de Janeiro will suffer great trauma during the hour of the pole shift. We have described excessive tidal waves that will pour up over the entire coastline facing the south Atlantic, due to new land emerging when the Antarctic Plate is shoved up between the tip of S America and S Africa. We have described these tidal waves are flowing over the coastal mountains, and certainly boring up the ravines with the force of tidal bore such that a safe height can hardly be calculated. 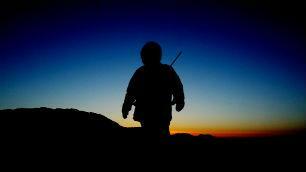 Go inland to Minas Gerais and seek high land there, for survival during the hour of the pole shift. The waters from this terrifying rush during the hour of the shift will gradually drain, during the following days, along rivers that drain the areas behind the coastal mountains. Wait for at least a week to return to your homes along the coast. .
Why would anyone steal vital seismographic equipment from Vanuatu just before Christmas and just before the 25th Dec EQ? As EQ waves travel through the earth and other seismic stations globally pick these up then what is the point of removing one piece of equipment? Is this desperate poor people looking for some income from selling it off or is it more sinister than that? [and from another] The Vanuatu authorities had said that it was done twice in less than a month and by all appearances it appeared to be well planned and the perpetrators knew exactly what they were after. Sorry but it does appear more sinister. [and from another] http://www.dailypost.vu/~dailypos/content/over-vt1-million-worth-earthquake-equipment-stolen-again The Vanuatu Meteorological and Geohazards Department has revealed another set of earthquake monitoring equipment has been stolen at the Devil's Point Station. from what was observed at the scene of where the criminal act took place, the thieves that seemed to be familiar with the seismic monitoring devices and telemetry system, cut the fence wire, and carefully dismantled the instruments. The specialized equipment used in these monitoring stations is not attractive to the average thief as it would be hard to dispose of, and useless for anything other than monitoring quakes. Thus it is obvious that this is harassment, not theft. Many such station owners have been asked to cooperate with the cover-up, shutting their station down or tuning it down to reduce the significance of earthquakes in the vicinity. Those who have refused cooperation in the past are being harrassed! I very much appreciate the recent update on California in Ning chat. It would seem from recent postings that on the eastern side of the San Andreas, we can expect to see an increase of approximately 90 feet in elevation. I have been able to find only one posting on Folsom Lake, which is the most strategic reservoir in the US as it is upstream from Sacramento and approximately 1.2 million people. In that posting, the Zetas said that Folsom Lake Dam would be damaged but would survive. Since the lake is part of the first row of foothills of the Sierras and located 35 miles northeast of Sacramento at approximately 500 feet above sea level, will the increase in elevation be sufficient to keep it intact and above the salt water level when the sloshing occurs in the San Joaquin and Sacramento Valleys? Your question, while quite sincere, is an example of seeing what you want to see, rather than the picture that has been painted. Simple math will tell you that a 92 feet increase on top of a 500 foot elevation does not equal 675 feet. And nowhere did we state that the Folsom Lake dam would remain "intact"! In fact, we have stated the opposite, that all dams should be anticipated to shatter, particularly in the foothills of the mountain building region of the Sierras! We have stated that salt flats, which the California valley is at base, are stable and less likely to shatter than those areas which obviously have sustained mountain building in the past. Folsom Lake is NOT on the flat valley floor, but in the area subject to mountain building. You are to be congratulated that you are not in denial, but be cautious not to have false optimism. Folsom Lake dam will shatter, and the lake in any case will be salt water. However, those living in the area are ideally suited for the pole shift survival technique we recommended - to be on the salt flats of the valley flood during the hour of the shift, and then scamper into the foot hills of the Sierras before the tidal waves roll up the Delta to reach you. Post PS, can the 100 Mile House area of the Caribou region of BC expect significant amounts of ash and volcanic gloom from the Wells Gray volcanic field? This volcanic field would be located about 70km west of this region post PS which is relatively close but I believe previous ZT has indicated post PS wind to be from inland to ocean on the west coast of N. America. The volcanic field appears to be composed of smaller cinder cones which have been active within the last 10,000 years. I would expect some activity from this region and understand areas downwind from significant volcanic activity could present difficult living conditions so this area could be cutting it close. 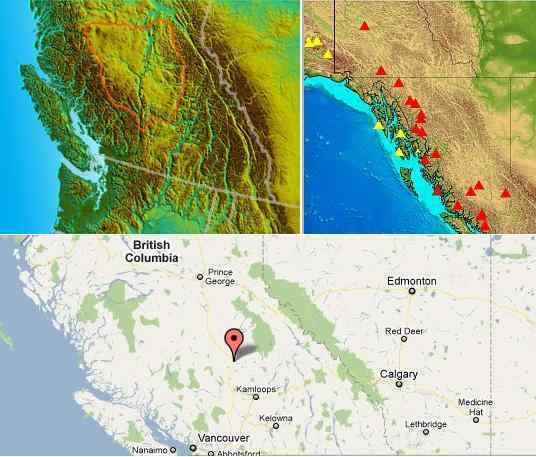 The location you specified, in the Caribou region at the 100 Mile House, is likely to have volcanic ash blowing down toward Vancouver Island, rather than overland in British Columbia, though you would have volcanoes on either side of you. . I have a question about cellular phone, which plays a very important role in our lives. Can the Zetas say about, for how many weeks or days before the pole shift, it will dissapear? Cell phones rely primarily on towers, being "in range" of a tower that can send and receive. Towers speak to each other, and also to satellites for a long reach. It is the satellites that will primarily affect cell phone success. As long as calls are local, and a tower is within reach and functional, they may even be in operation after the pole shift to a limited degree. Static of course will increase, but this will be true of land line use as well. We have predicted that satellites will be torn from the sky prior to the pole shift, as anyone contemplating what the debris in the tail of Planet X can do must realize. Already, there are losses that are hidden from the public, as additional satellites are sent aloft. Land lines, where such lines remain intact, can function without satellites, so for long distance calls, these will be in operation into the last weeks where cell phones will frustrate users. Whether reform of the Russian army which is spent by the government recently is casual, or it is a stage of preparation for change of poles? [and from another] Russian army reform after the Vostok-2010 military exercises [Sep 7] http://en.rian.ru/analysis/20100709/159749435.html High officer morale should be singled out. Most officers want the current army reform to succeed and are hoping for success. A reduction in the number of contract soldiers has negatively affected platoon-and-company training programs. Major setbacks include the government's failure to facilitate 100% contract service, the social tensions caused by the rapid discharge of officers, a hasty and ill-conceived military-education reform and lots more. [and from another] http://en.wikipedia.org/wiki/Russian_Ground_Forces Under President Vladimir Putin, more funds were committed, the Ground Forces Headquarters was reestablished, and some progress on professionalisation occurred. Plans called for reducing mandatory service to 18 months in 2007, and to one year by 2008 but a mixed Ground Force, of both contract soldiers and conscripts, would remain. In the course of the reorganization it is planned to replace current 4-chain command structure (military district - field army - division - regiment) with a 3-chain structure: strategic command - operational command - brigade. Russia does not have the funds to support the military it did in the past. Prone to corruption in the past, contractors were hired and are now being let go. As was true during the Iraq War, when Halliburton and others were hired because they would serve the master that hired them, rather than the country their were sworn to defend, contractors are expensive and deliver a questionable service. Kickbacks are rampant. The reorganization is to eliminate this practice, and fire or retire those most responsible for corruption in the past. To the extent that those at the helm in Russia know what is coming, it is also to make the Russian Army more responsive and loyal to the leadership of the country, not to individuals or cliques within the military. There is a December 27th 2010 story at the CBC website entitled: "Light shines in High Arctic darkness" http://www.cbc.ca/canada/north/story/2010/12/27/north-high-arctic which is saying that there is more light during the winter now compared to 20 years ago. Additionally, members of the public in Resolute Bay are calling the current air temperature of minus five "wild", inferring a warmer climate as well. Of course this is being amazingly blamed on Global Warming by a "weather researcher" claiming "Refraction makes light travel". This story claims a gradual change in Arctic winter lighting, so I wonder if the full details have not been made public since this does not quite fit "Earth rattle" and the recent tipping of Earth's North Pole. Also, the change from minus 31 (normal temperature) to minus 5 (now) seems a little drastic for such a small amount of additional Sunlight. Would the Zetas care to comment on this story? We have described the start of the polar wobble, the daily lurch whereby the magnetic N Pole of Earth is pushed violently away when it comes up over the horizon to face the approaching magnetic N Pole of Planet X. As vertical weather on the weatherman's maps shows, this push has become more violent and has more scope. As any action incites a reaction, there is a bounce back later in the day, so that the N Pole of Earth is pointing more directly at the Sun than it would normally. Where many people note the Sun too far to the south or north during their day, it is more obvious in the Arctic where no sunlight is expected for months during their winter. This report is documenting the wobble! Nancy, could you please ask Zetas - if 7 of 10 has arrived and if so why the world is not shocked yet? This is a misconception, spread by some who hoped to have a solid milepost by which to influence family and friends to take the message seriously. They saw what they wanted to see and are loath to have egg on their face after having gone on record with others. This was their failure, not ours. In every case, when we mentioned shocking the world, we did not state this would occur by the end of 2010. This was the case in on June 19 when we said "One or more of the plate movements described would happen by the end of 2010, when a 7 of 10 would have arrived, and that a 7 of 10 would "shock the world" so that there would be no doubt it had arrived." This was the case on July 31 when we said "We have inferred a 7 of 10 would arrive by the end of 2010. We are currently at a 6 and our statement is that a 7 of 10 would "shock the world" and be unmistakable. At least one of them will occur before the end of 2010." This was the case on August 7 when we said "Our prediction that a 7 of 10 will occur by the end of 2010, and will shock the world." This was the case on September 11 when we said "We have stated that the 7 of 10 will "shock the world", and this has not yet happened." And this was the case on December 18 when we detailed that "The 7 of 10 will unfold but not as expected by many. It will not be a dramatic announcement on the news, as the establishment is ready for this, due to the extensive discussions. Thus it will not be before the early part of 2011 before the full impact of the prediction accuracy is noted by the world." If one says they are going to drop the kids off at school by 8:00 am and are going to the hairdresser, they have not stated the hairdresser appointment is prior to 8:00 am. These may be related activities and thus included in the same sentence, but the conclusions drawn by those disappointed after having gone on record with a false assumption is not our fault, nor Nancy's fault. It seems to me with the enormous amount of earthquakes in Arkansas and by looking at the position of that area relative to the New Madrid Fault and the fact the Seaway opens from the north downward instead of the Gulf up. These quakes could be the result of the torque of pressure being created by the pull to the Northeast. Is that a fair assumption? [and from another] Although I have seen it said that the New Madrid will have the Mississippi river being 50-100 miles wide (and possible St. Lawrence Seaway/lakes) after the pole shift. I have seen no mention as to what kind of effect the 7 of 10 event will have comparatively? How big of a movement will we see in this area during this first event? Also, since it seems the earthquakes may be centered under the southern part of Lake Erie and Lake Ontario what kind of earthquake damage could southern Ontario expect? The diagonal pull on the N American continent causes various points of stress, as we have so often detailed. One is the bowing of the West Coast, centered at San Diego. We have presented this in the context of an analogy - a bow - the Aleutian Island being pulled toward the tip of Mexico. This caused water main breaks in San Diego, as well as fracturing of rock inland, as it was the cause of the Utah mining disaster just east of the Salt Flats. A second aspect of this diagonal pull is stress along the New Madrid Fault line, which runs up along the Mississippi and then up along the Seaway. This will eventually fracture pulling the land to the west of the Mississippi slightly to the southwest, ripping bridges over the Mississippi apart. Many quakes are registering not only in the New Madrid region but in any rock strata stressed by this diagonal pull. A third point of stress during the diagonal pull is along the Seaway itself, as it is prone to rip open to relieve this stress, and does so in steps and stages. For the 7 of 10, this Seaway adjustment will be slight, though felt inland as far as Duluth. I have been looking through the Ning and ZetaTalk archives regarding the Gulf of Aden vortex. I found info regarding the earthquake swarms in the Gulf of Aden as they relate to the African roll, but I did not find any information on the vortex itself. What I am wondering about is is the high military presence around the vortex. I understand that vortices will occur in the oceans due to water disturbances caused by the earth wobble and plate movements, so I can't help but wonder why the elite would send a large, diversified military presence to the area if they know the vortex is related to the pole shift. Such a force cannot be simply to protect ships from Somali pirates. Is this vortex different from other vortices that will form? Is there something else going on here? [and from another] Wikileaks, the US secret bunker, the Gulf of Aden Vortex: Contact made? [Dec 8] http://english.pravda.ru/opinion/columnists/08-12-2010/116116-gulf_aden_vortex-0/ Once again the Wikileaks cables come into play. And what is revealed is terrifying. According to a report allegedly prepared by Admiral Maksimov of Russia's Northern Fleet, in late 2000, a magnetic vortex was discovered in the area of the Gulf of Aden. Russia, the PR China and the USA joined efforts to study what it was but discovered that it defied logic and the laws of physics. The Gulf of Aden is the juncture of several plates - the African Plate, the Arabian Plate, and nearby the Indo-Australian Plate and the great Eurasian Plate. This area is spreading open as the African Plate rolls its top toward the east. Anytime the crust fails to protect the surface from the force of the magnetic field centered in the core of the Earth, magnetic anomalies will be observed. These anomalies seldom reflect the overall field of the Earth, but are reflective of local magma swirling in pockets, where magma churns about in rough areas on the bottom of plates. It is illogical for anyone to presume to deflect or control such a field by a military presence. The Somali pirates, however, were creating chaos and inciting copycat behavior elsewhere, and certainly were responsive to a military presence. Last two days I have heard on news about gas price would go up to $5.00 per gallon by 2012. The gas is going up fast now. ../index/zeta314.htm did mention Bush out of Iraq and Puppet Master was not interested in economy or bank failure. ../newsletr/issue038.htm did mention two-year rise in gasoline prices, American consumers now face sharply higher prices for foods. ../index/zeta372.htm did mention gas prices which will be approaching $ 4/gallon in the Summer, food prices dramatically increasing due to bee pollination problems. Is there any update from Zeta on rising gas prices which might hit $5.00 per gallon? Will there be another collapse in economy and unemployment getting worst. Is this the repeat what happened during Carter Administration during his last two years with double digit inflation and recession? Many do believe that $5.00 per gallon would cause unemployment as much as 20%, more businesses would go bankrupt and another depression. Is the economy going to get worse? Yes. Will the Earth changes bankrupt insurance companies and worsen the crop shortage situation? Yes. Will there be price increases and inflation? Yes. Will this reach the point where matters get radically worse than they are today? No. The reason is due to the manipulation that governments can do to prevent gouging. As we have often explained, the banking industry will not collapse. They have cards they have no yet played. Weak banks have been closed or consolidated, banking services limited and restricted to only the most solid customers, and limitations on withdrawals imposed. But the public does not see what goes on behind the scene, as governments can force the banking industry, or the stock markets, into controls designed to avoid collapse. In short, gouging is outlawed. The failure to take such steps is what caused the Wall Street collapse during the housing bubble crash in the Fall of 2008. Bush/Cheney and their rip-off cronies are no longer in charge. Controls are now in place. How would these same techniques apply as the Earth changes make matters worse? If the government printed money to allow Wall Street to survive, then they can do the same when insurance companies start failing. Consolidation, government backing, and companies can stay in business, reassured. Certainly the profit motivated oil companies can be forced into price controls, as can the distribution networks. This is already in place, though these moves are done behind the scene. Food distribution is also enforced. Companies and individuals who would seek profits by withholding food until the price was driven up, or sitting on stockpiles until the price rises, are aggressively pursued by governments, though this also is not public knowledge. If the establishment wants the cover-up over the presence of Planet X to last as long as possible, they do not want the public restless. Capitalism be damned. .
As the top part of Africa tilts to the east, while it drops, S Africa will not strictly find itself 125 miles further south, but a few miles shy of that mark. Yes, this repositioning of the African continent happens during the 7 of 10 scenarios, but we have not yet addressed the speed with which this will unfold. Nor is the time yet at hand for such a revelation. Too many details allow the establishment to formulate a cover-up, as is happening in Indonesia and Australia right now where rain is being blamed for flooding when the real cause is plate adjustments. The sinking of the lower Caribbean Plates comes first, and we have not even detailed just what islands and lands will be most affected by that. You must have patience, as revelation of information is a chess game with the cover-up, which is at present alive and well. Africa of course will find its rift increasing, the Red Sea of course will widen at its southern edge, and other stretch areas along its eastern coastline will expand, as would be expected. This is not expected to drop the elevation of east Africa, however.